Tinnitus in Latin means ‘to ring like a bell’. It can be pronounced “tin-night-us” or “tin-it-us”. Tinnitus is a sound that is heard when there are no external sounds present. People report experiencing different sounds in the ear like ringing, chirping, or hissing. Over 50 million people currently report having tinnitus symptoms. The exact cause of tinnitus is not known. While sometimes tinnitus may be caused by ear wax, ear infection, high blood pressure, otosclerosis, muscle spasms, or damage to hair cell, often no medical reason is found. Researchers are studying the complex auditory system to find the answer. Sometimes a hearing loss can cause tinnitus and sometimes tinnitus occurs even without a hearing loss. Tinnitus doesn’t cause hearing loss, but it is a symptom of hearing loss. A hearing test to evaluate the auditory system is necessary to see if there is hearing damage. Based on the hearing test results, our board certified Otolaryngologist will determine if further testing is needed. The information from a hearing test provides a starting point in developing the tinnitus management plan that is right for you. If our Otolaryngologist finds a specific cause, he may be able to treat that cause. 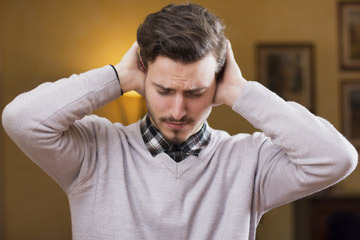 Unfortunately, there is often no cure for the tinnitus you may be experiencing. Ongoing research is looking for other sources of tinnitus in order to find a treatment. In some cases, tinnitus symptoms can lessen over time. In most situations, tinnitus management is currently the best solution. How can Paradise Coast Hearing Care help manage my tinnitus? We use a combination of sound therapies, tinnitus retraining therapy and relaxation techniques to help reduce symptoms. It is important to know that there is no one proven therapy to completely eliminate tinnitus sounds from the ear. What can aggravate my tinnitus symptoms? Ototoxicity – damage to the auditory system as a result of ingestion of certain drugs or chemicals. What conditions can affect tinnitus? Following a complete medical and audiological evaluation, a personalized treatment plan is developed. What are the long term expectations of tinnitus therapy? Periodic re-evaluation and follow-up is needed. Appointments are initially scheduled for the first 6-8 months along with your annual audiologic monitoring. Please contact our office in Naples, Florida at 239-263-8855 if you are experiencing symptoms of tinnitus.